All About Scout Outings and Fun! Boys and girl scout clubs of America have been a staple part of American culture and society for many years. They have been instrumental in building character in kids and teaching them values, respect for nature, survival basics, hard-work, independence, and teamwork too. As scouts develop, learn new skills, and take on new responsibilities, they achieve merit badges. These badges are important to scout troops because they represent a new level of personal development in the scout’s life. 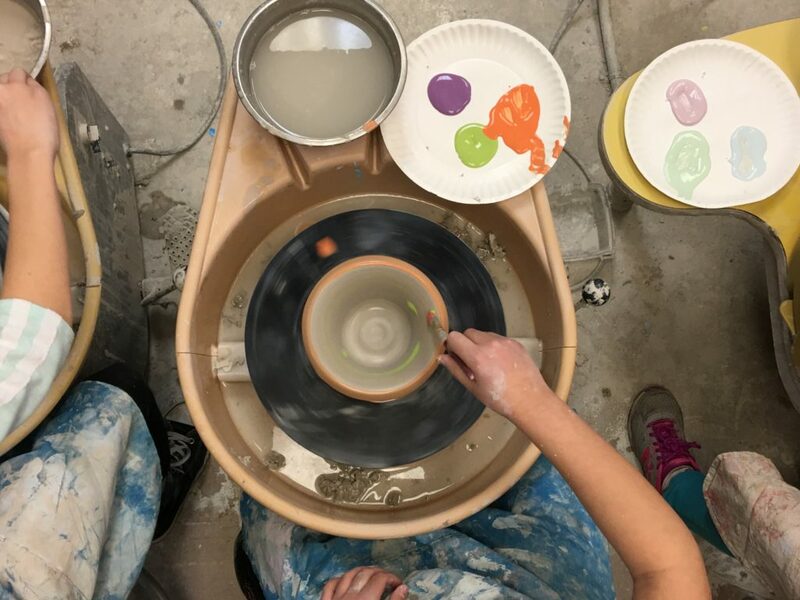 The Creative Arts Studio in Royal Oak, Michigan is proud to offer programs to help our scouts earn the merits necessary to receive a painting or pottery badge. Our painting and pottery badge programs are designed around the unique requirements of each badge. As a local business here in Royal Oak, Michigan, the Creative Arts Studio enjoys being involved in the community and helping scouts along on their personal development path. We have also set aside “Badge Days”, where scouts can join and combine with other troops to earn their badges. Scouts may also schedule a private booking for themselves to come in and perform the necessary requirements for badges to be awarded. 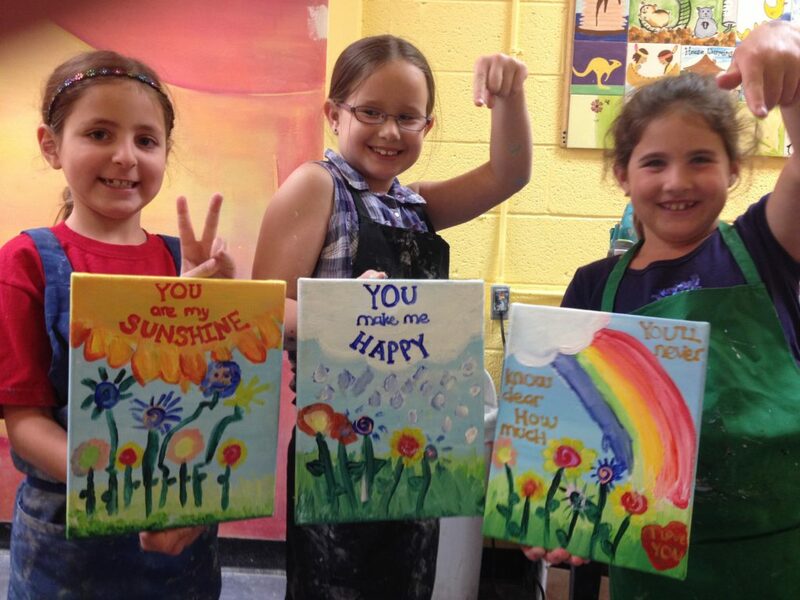 What’s great about our scout badge program is that it’s centered on and around creativity, art, and personal expression. By awarding scouts who have met the requirements for a painting or pottery badge, they are taught the value of art, of working with their hands, and of course, the importance of having fun while doing their Scout’s Duty. As always, the staff here at the Creative Arts Studio welcomes a “just-for-fun” visit to our studio in Royal Oak, Michigan, where being creative is cool! The Scout clubs of America have a proud heritage of kids who are respectful and responsible. These model youth often grow up to become citizens who contribute to society in meaningful ways. The values gleaned as a scout during these formative years often transfers into his/her adult life, helping mold and shape their character in the later years. This heritage of honor continues to this day, instilling greatness into the youth of America that will follow them their life through. Partnering with the Boys and Girl Scouts of America in putting together a scout’s badge program has been a Highmark for the Creative Arts Studio. The well-known catch phrase, “Scouting is Outing” is as apt today as it was a hundred years ago. With today’s tech-centric society, our youth are more digitally-developed and connected than ever before. When so much of our youth’s time is spent online for school and for leisure, it’s beneficial for them to equally spend time, offline – crafting with their hands, taking in nature and working together on a group project with friends. The Creative Arts Studio helps these connected kids – to reconnect with their creative sides, teaching them the value of having balance in a busy world. Helping people to reconnect to their creative sides has been the aim and mission of the Creative Arts Studio since we opened our doors. WIth our merit-badge program, scouts can learn the benefits of having balance while they experience the beauty of art. Equally, these scouts are rewarded for their work – with the satisfaction that comes from crafting something with their own hands. Then, their hard work is rewarded again… with an award – a merit-badge of honor for their creative accomplishments. It is this reconnect to the creative that helps make the Creative Arts Studio – the ultimate place for your next scout outing! Learn about wheel throwing, coil building, and glazing! Creative Arts Studio badges available for just $4/scout, pottery badges for $5/scout, or grab both for $8/scout! Please call the studio at 248-544-2234 for booking. Learn about blending and mixing colors and shades, texture, and design! Scouts will earn their painting badge as they paint a still life, a mural, and work on our spin art machine! Creative Arts Studio badges available for just $4/scout, Painting badges for $5/scout, or grab both for $8/scout!